STILLWATER, Okla. - If you're looking for more mullet-wearing, "I'm a man, I'm 40" ranting, most successful head coach in Oklahoma State history, then, yeah, there's an app for that. 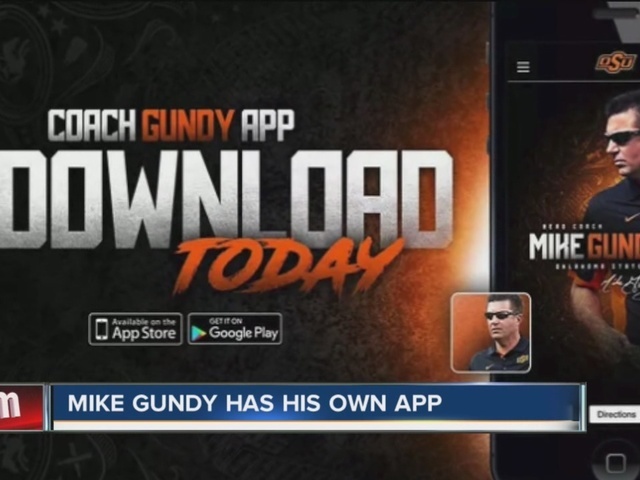 OSU head coach Mike Gundy announced Thursday that he has his own app, available on iTunes and for Android. The app features the latest news about the OSU football program, along with videos, pictures and several other Cowboy football related links. Gundy, who's always looking for an edge in recruiting, said Thursday that he believes he's the first college football coach in the country with his own app. You can download the app by searching "Gundy" in Apple or Android App Stores. The app has the latest videos, photos and news from the team.